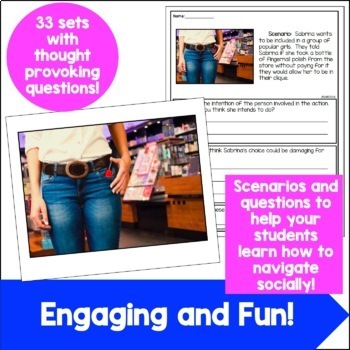 33 Real pictures with a matching scenario and question page for a total of 71 useful pages! These are some of the topics covered! If you own my Social Skills Interpreting Facial Expressions don't worry, these are different scenarios and pictures! 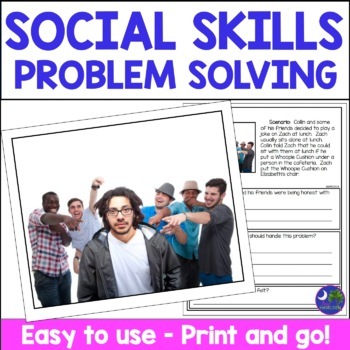 Do you need a Social Skills Game to play while working with your groups? NOTE: Please note, some of these scenarios are not for younger students. Please KNOW YOUR AUDIENCE. 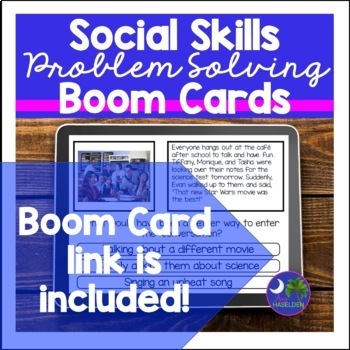 I created these to use with many different age groups and for many different students. Be selective and look at all of the slides before you give them to your students!